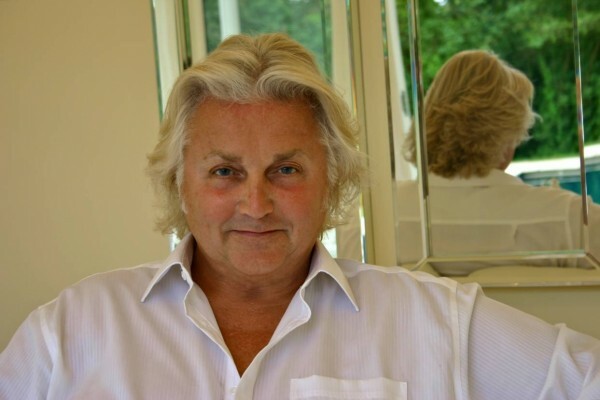 Since graduating from the Royal College of Art, with a Masters of Art degree in Fashion Design, for the last twenty or so years, David Emanuel has established himself as a couturier of International repute; designing clothes for members of British and European Royal Families, and for some of the World’s most beautiful women. Since becoming a household name worldwide, Emanuel is constantly asked by the media to give his views on his current projects, social tastes and style comments. He has been interviewed by most of the high profile British Hosts as well as such illustrious names as Barbara Walters, Jane Pauley, Merv Griffin and Joan Rivers. With this background and an amazing range of programmes of Breakfast Television, Afternoon Television Makeover Shows, Evening Quiz/Panel Games and even a Natural History Documentary, it’s no surprise to see Emanuel presenting in front of the camera. David was in high demand and was a key commentator and presenter in programming around the Wedding in 2011 on 18 Networks worldwide. In addition David was asked to be the subject of large features in Majesty Magazine and did his first ever At Home spread in OK! David has had two major television profiles. 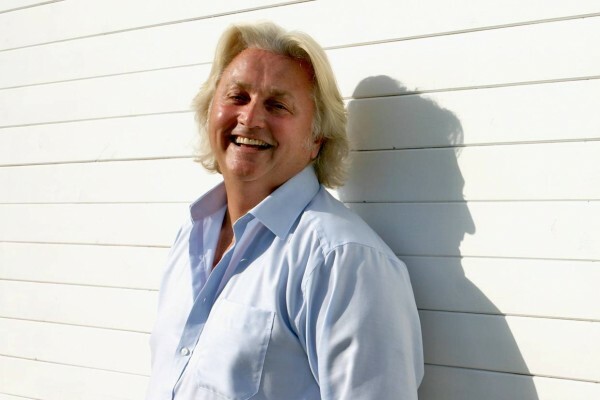 The first being A day in the life of David Emanuel and the other ‘The House of David Emanuel. More recently David has been seen in ITV’s retrospective on the Royal Wedding and in a documentary charting David’s career will air on ITV Wales ‘Time of Your Life’. One of the reasons David has not been seen on UK screens a lot recently is because he has been jet setting around the world filming four seasons of the extremely popular US show Shop The World which has been syndicated across the US and 39 other countries hosting a total, of 52X½ hour shows which were co-produced and Hosted by David and a 1hr Special. When not on Television David has been working on his next collection, David Emanuel @ Bonmarché, for stores nationwide and on-line. Other feature programme includes BBC’s Celebrity Cash in the Attic. David was the creator of the character of ‘Frock Doctor’ for ABC Television (Network), USA. Appearing on a daytime show with fashion segments visiting ‘victim’s homes to re-organise and style their wardrobes/closets. This was followed by David Filming his own fashion series ‘Designed by Emanuel’ for HTV, a ten part series with Emanuel as both host and Executive Producer. Interviewing celebrities and members of the public, discussing their clothes and style problems, taped in front of a live studio audience. Which went onto a second series. For Granada/Sky television, David hosted The David Emanuel Fashion Show, and for ITV, Out to Lunch series, hosting and cooking for celebrity guests, also for Granada The Make-Over Show and The David Emanuel Ultimate Make-Over-Show, an hour long fashion series, hosted by Emanuel David went on to Co-hosting Afternoon live and Cooking with David Emanuel, again as Host and cooking a Designer lunch at home. For BBC2 Television (Network) David hosted a thirty minute special ‘The Royal National Eisteddfod of Wales. Previously, David presented fashion stories for the BBC Television Network Series, Summer Scene. He also co-presented with actress Margie Clarke, a ten part network fashion series called Swank. This was supported by national television advertising and a major press print campaign. David designs for, and styles the opera singer Lesley Garret, Britain’s most popular, top-selling Diva! As well as her concert performances he designed her first BBC2 special, ‘Viva la Diva’; indeed her first gown, a red silk taffeta crinoline creation, even inspired her album: ‘Soprano in Red’, making it her bestselling album to date. He has also styled and created the gowns worn by Royal Harpist, Claire Jones. During his career Emanuel has commissioned and styled pictures with some of the world’s top photographers, including: Lord Snowdon; David Bailey; Horst; Skrebneski; John Swannell; Lord Patrick Litchfield and the late Norman Parkinson to name but a few. Watching these greats in action using the expertise of their profession, he quite naturally took the next step and put himself behind the camera to shoot his own pictures. Indeed, his first commission was from none other than The Sunday Times. David sang at the BBC 75th Anniversary Concert and started Hosting new show on Granada Television Shop Channel, and created Ladies who Lunch, an original concept filmed as a pilot. Emanuel hosts a chat show over lunch with three invited female celebrities, covering such diverse subjects as politics, astronomy and travel. David Emanuel creations are worn by: Madonna; H.R.H. The Princess Royal; Mrs Michael Caine; Joan Collins; Faye Dunaway; Jane Seymour; H.R.H. The Duchess of Kent; Lady Lloyd Webber; Ivana Trump and Elizabeth Taylor, to name but a few…. In 1981 came the privileged commission of a lifetime. That of co-designing the wedding gown for H.R.H. The Princess of Wales, watched by an estimated 750 million people worldwide and entering him into the history books for eternity and instantly making him a household name. 1990 saw the launch of his solo career and label, ‘David Emanuel Couture’, based at his suite in The Lanesborough Hotel, Knightsbridge. David Emanuel designed the wardrobe for the singer/entertainer Lulu in Andrew Lloyd Webber’s Song and Dance. David dressed the critically acclaimed actress/movie star Sian Phillips as ‘The Snow Queen’ in the annual Christmas spectacular, ‘Joy to the World’, at The Royal Albert Hall, London. In addition, David styled the cast of Andrew Lloyd Webber’s musical ‘Sunset Boulevard’ at his private Sydmonton Court Festival prior to its West End opening. If this was not all enough David has a Singing Career that others would envy -Whilst studying at senior school, Emanuel applied to both art and music colleges. Although accepted by both, the envelope from the art college arrived first so he went there. Coming from a Welsh speaking and musical background, he played the piano from an early age, was head chorister of his church choir, and was also a violinist in the County Youth Orchestra and singer in the County Youth Choir. In his spare time he taught himself the cello. David concentrated on his professional fashion career and it wasn’t until the late 1990’s that his rekindled his other love, singing. Taking personal time out of his extremely busy schedule to study with Mr. Ian Adam, voice coach to Michael Crawford, Elaine Page and other West End/Broadway stars. Whilst meeting Mr. Geraint Evans, the then BBC Head of Entertainment, to discuss television projects, Emanuel was invited to be a guest on the ‘The Peter Karrie Show’ to sing and be interviewed alongside the actress, and client, Joan Collins. He performed ‘The Queen of Disguise’, an original euro-beat fashion song much to the surprise of Miss Collins, the studio audience and indeed the viewers at home! David was also asked to be part of the guest line-up at the 75th Anniversary Concert of BBC Wales, singing live in front of an audience of four thousand people. He sang three classic songs in Welsh! The spring of 2000 saw Emanuel collaborating with the composer Patrick Hawes (Boosey and Hawkes) to produce a contemporary/cross-over version of the famous duet: ‘Au Fond du Temple Saint’ from the opera ‘The Pearl Fishers by Bizet’ with Emanuel singing both parts. A finished demo CD was produced. His singing style and sound is Easy Listening and he loves singing Romantic Ballads. During summer 2000 he was to be found busy finding suitable material; working in rehearsal and recording studios. This culminated in a very successful cabaret, his debut concert in America. He was accompanied by the legendary Lester Lanin Dance Orchestra. A demo CD was produced. Upon his return, the BBC invited Emanuel back into the Studio, to be guest of the day on The Owen Money Radio Show, to talk about his new career as well as singing six songs live in the studio.